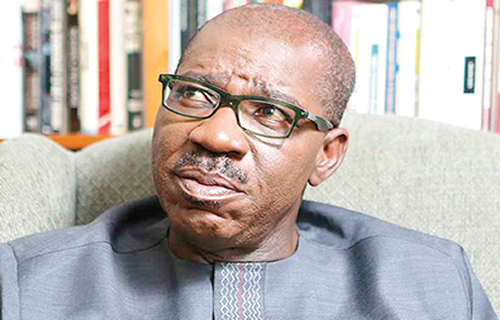 Concerned about the welfare of the family of a late Oredo Local Government Area pensioner, whose body, it was reported, had been left in the mortuary for over 454 days, Governor Godwin Obaseki of Edo State has promised to offset the bills and empower the Oboite family to enable them bury their late father and start a business. This was according to a statement by the Chief Press Secretary to the governor, Mr. John Mayaki, who also clarified that the Governor did not order the employment of 4,200 people into the state Civil Service but public works program. On the issue of the late pensioner’s family, he revealed that the Governor was made aware that a certain Mr Sunday Oboite passed away while waiting to be verified during a verification exercise at Oredo Local Government and that his family needed financial assistance to bury him since he was still being kept in the mortuary for over 454 days.